Over the Printfest weekend each year, we ask the exhibiting artists to nominate their favourite printmaker. That artist becomes our Printmakers’ Printmaker, an accolade which is particularly meaningful to artists as it reflects recognition by their peers. The Printmakers’ Printmaker Award was presented to a stunned Flora McLachlan! We are delighted to be able to look forward to welcoming her back in 2019. 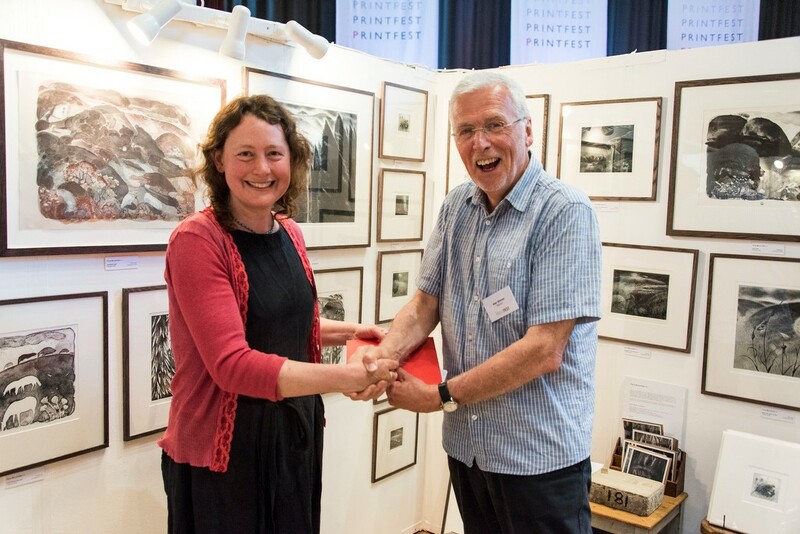 Here she is receiving her Award certificate from Printfest Patron Alan Stones.